Our main concern is promptitude when we perform fast deliveries of fresh fruits and vegetables for national and international dealers. 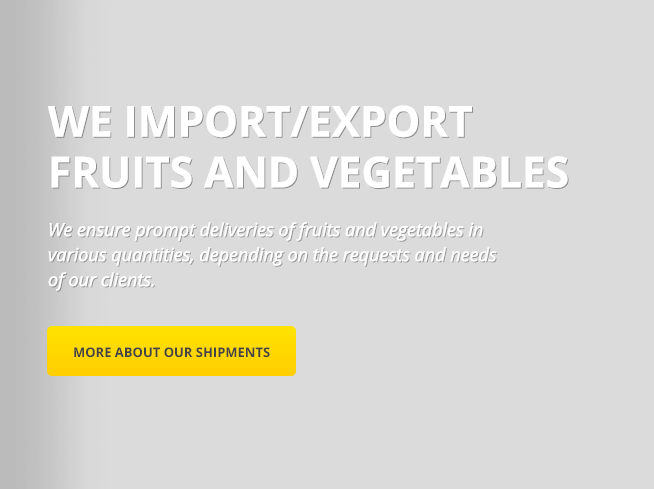 With a highly ramified network of suppliers, we enjoy the necessary capabilities to deliver different foods and other goods both in Romania and abroad. 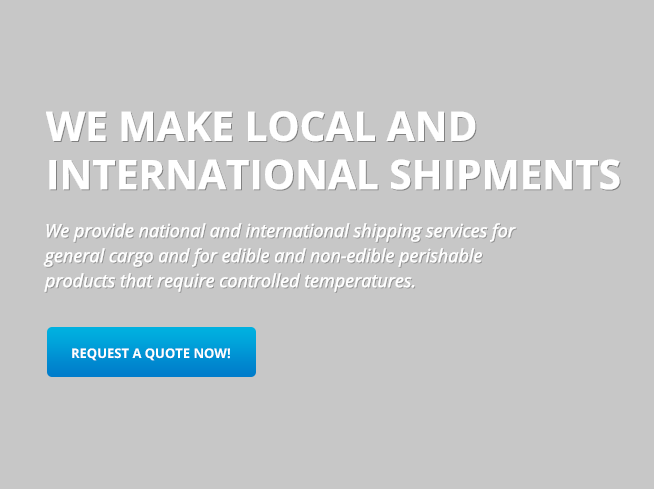 We provide national and international shipping services for general cargo and for edible and non-edible perishable products that require controled temperatures. We offer services of integrated planning, organization and control of the cargo you wish to ship and to distribute with the help of our network of storage spaces. Our diverse network of partners and clients enabled us to develop also activities of mediation and intermediation with national and foreign companies. We are very much interested in agriculture. This is why we are deeply involved in the development of stock raising activities in Romania by offering help to farmers. The diversity of the services that we put at your disposal is motivated by the communication we enjoy with our partners and the openness to our clients. We appreciate that you want to be one of them! About us	Verdura is a company dedicated to import-export services, cargo shipping services, logistics and intermediation. Verdura is a company that has been activating in these fields from 2005, succeeding in growing in recent years due to integration of several dedicated services that we offer to our customers. Our strength lies in the diversity of the activities that we perform, because we are focusing on providing complementary services. Thanks to the large network of suppliers and partners, we can easily succeed in providing you the best solutions. The main activities that we perform are import and export services of different goods and products, internal and external cargo shipping, logistics and distribution, but also we can handle mediation of contracts or stock raising activities. Despite the fact that we activate in a competitive field, we have managed to gather a portfolio of important partner companies, both big companies, as well as small and medium sized enterprises from European states, such as: Italy, Poland, Spain, Belgium, Holand, Austria or Germany. Client testimonials	Our clients are our partners and we thank them for entrusting us with their necessities! "I’ve been collaborating with Verdura every since they started and I am thrilled of the possibilities that this company has opened for my business. With the help of several mediation contracts, I’ve managed to open up new markets for my products abroad." "Verdura handles the necessities of my company with professionalism. Their logistic and transport network aligns perfectly with my company’s needs and the cargo has always been delivered on time and without any problems." "I’ve decided to set up a farm and I went to Verdura to help me find pure breed cattle in order to increase my livestock. Verdura answered quickly to my requests and with their help I succeeded in developing my farm."